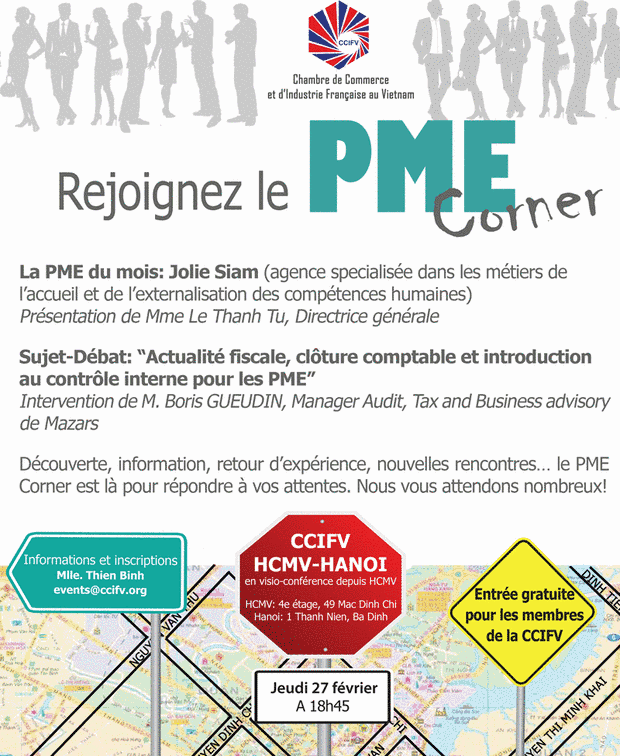 Following our commitment in supporting SMEs, Mazars Vietnam is happy to participate to the Small and Medium Enterprises (SMEs) Corner hosted by the French Chamber of Commerce (CCIFV). With a thorough knowledge about internal control, accounting and tax industry, Mr. Boris Gueudin, Mazars Vietnam’s Audit, Tax and Business advisory Manager, will present highlights of “Current tax issues, accounting closing methodology and an introduction to internal control for SMEs”. Join us to update information, discuss and strengthen your network. Please visit CCIFV website for more information.